We will be making our famous Fastnachts which are a Diamond Shaped ‘Doughnut’. While we call it a doughnut it is so much more than that! It is a special recipe which came from Great Grandpop! It is a little denser, a little bit more chewy and Oh So Yummy! Powdered, Cinnamon or Granulated Sugars finish them to perfection! 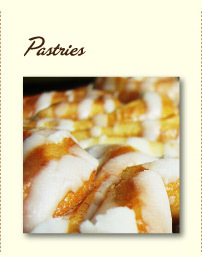 We will be making our King Cakes which are a Danish Dough pastry rolled with Cinnamon sugar. The Dough is made and baked in a circular ring and then frosted with a white icing and decorated with Green, Gold and Purple sugars. The King cake is then finished with coins and beads and the final touch is the baby! The King Cake will serve approximately 12. We will also be making Mardi Gras decorated cupcakes! Our own homemade authentic German Pretzel made in the traditional pretzel form, as well as the German-style pretzel roll! Please order the pretzel rolls 24 hours in advance. An ooey-gooey old-fashioned treat! Our own homemade sweet yeast-raised dough base with an irresistible sweetened butter topping. For a twist on the traditional, try this with apples or cherries! A delicious moist cake baked in a triangle shape and frosted on one side with vanilla buttercream and chocolate fudge on the other. Approx. 6-8 slices. Our very own recipe! A unique cheesecake, made with bakers’ cheese which is a highly condensed non-fat cottage cheese. German Cheesecake is mild in flavor, dense and creamy. 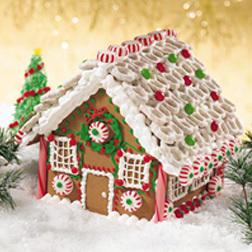 A traditional favorite with moist cherries, raisins and a touch of candied fruit finished with a cross in icing. A moist breakfast (or anything) bread loaded with raisins and topped with a glaze of icing. A delicate moist egg bread braided and twisted into a “nest” with hardboiled eggs in the center. Our very own Bunny Butter Cookie puts the face on this sweet treat! We start with our own cake (choose vanilla, chocolate, or half and half) decorated with vanilla buttercream or chocolate, if you prefer! The cake can be covered with shredded coconut. Our exclusive style – a moist vanilla cake in the shaped of a lamb, decorated with vanilla buttercream. Can be covered with shredded coconut. One size. Serves up to 8. An individual vanilla cake with a dollop of vanilla buttercream and enrobed with vanilla fondant. Vanilla buttercream decorations finish this sweet and cute treat. Yummy traditional treat! A moist vanilla cake enrobed with fudge frosting and decorated with pastel roses. We have 4 sizes, Individual, Small, Medium and Large. Can be personalized just for you! A tasty pastry shell filled with lovely custard and topped with fresh strawberries. Serving size approx. 6-8. A tender and delicious lemon cake with coconut buttercream frosting. A sweet lemon cake with a mouth-watering raspberry filling and frosted with coconut buttercream frosting. A classic and one of our most popular cakes. Delicate vanilla cake layered with fresh sliced strawberries and whipped cream, and frosted with fresh whipped cream. You can’t go wrong with this one! * Lemon Coconut Cakes, Lemon & Raspberry Coconut Cakes, and Strawberry Shortcakes area available in diameters of 7, 8, 9, 10, 12, and 14 inch diameter. 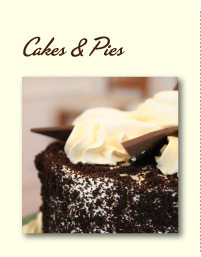 *Five different size sheet cakes are also available for servings from 12 to 80. Our traditional old-fashioned small pound cake enrobed with our own poured fondant frosting and decorated for the Spring. We still make them the way they did at the turn of the century, 1900's, that is! 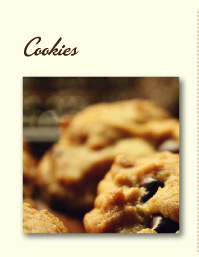 We are also featuring Our Own Recipe Handmade Butter Cookies! We have a large variety of small cookies, which can be arranged on a tray for entertaining or for a hostess gift. Our large cookies are hand-decorated and are always a huge favorite! 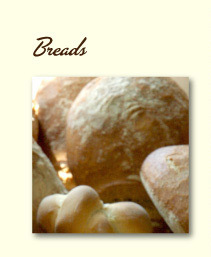 For your holiday celebration, we will be making an assortment of regular size and miniature rolls – as well as breads. These are available to order. 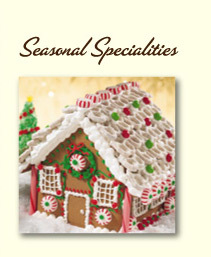 Also available, Cheesecake, Pies, Tortes and a variety of miniature pastries, etc. We are here to help. Please ask if you have any questions!